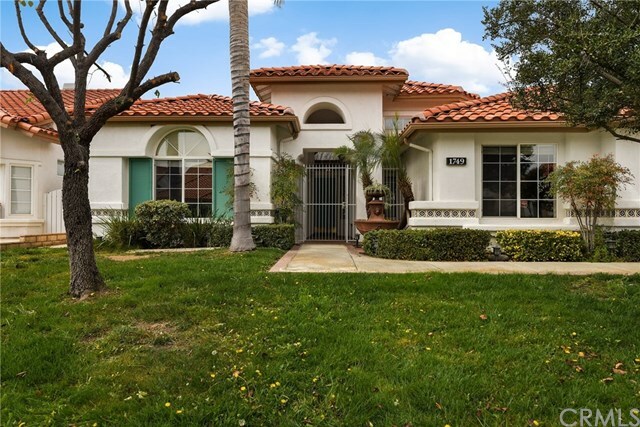 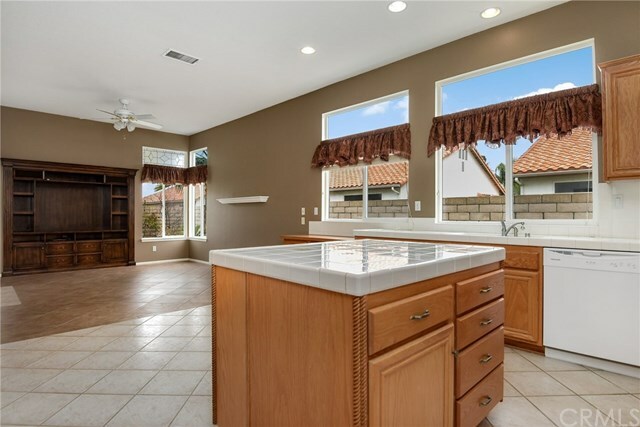 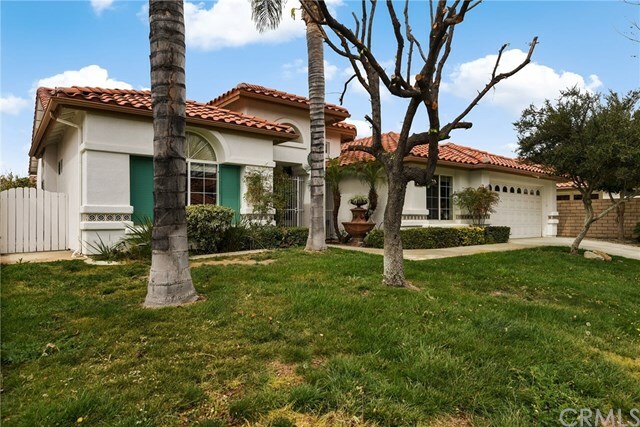 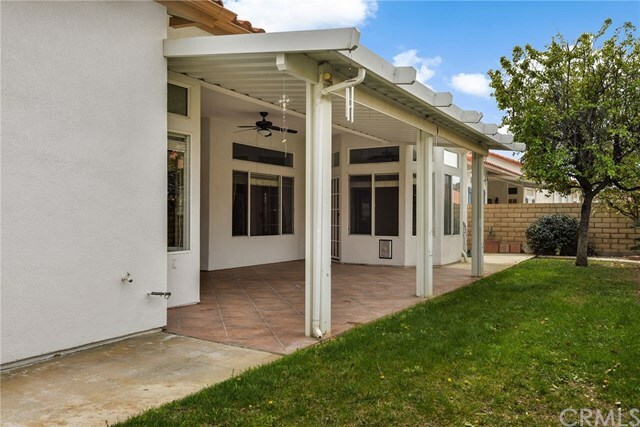 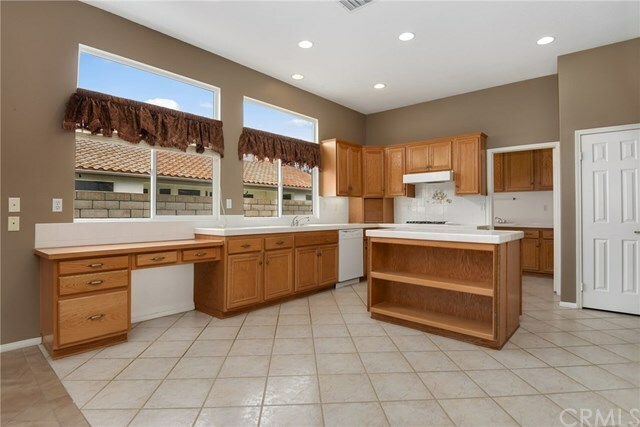 Move-in ready single story home is situated in the premier neighborhood of Coronado in the Seven Hills Golf community of South Hemet. 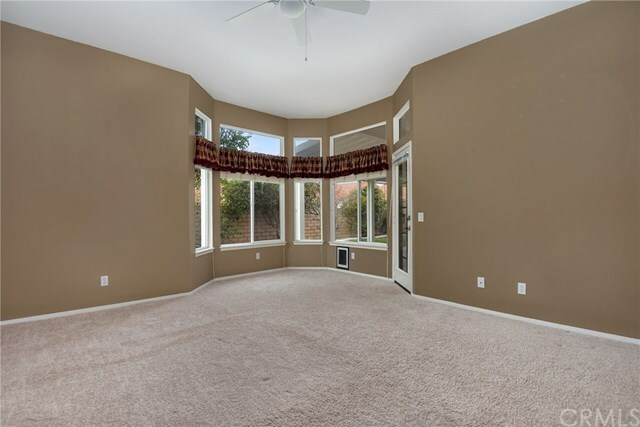 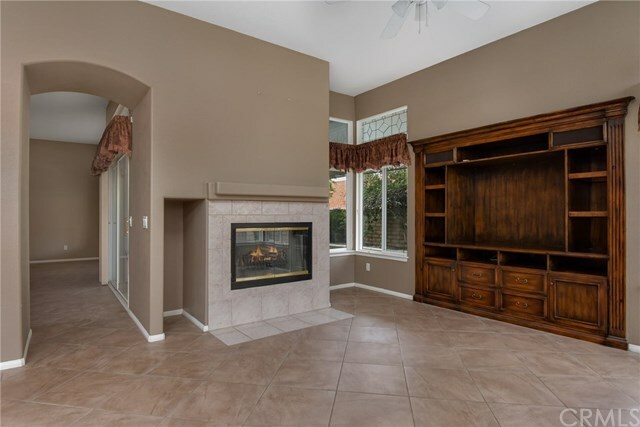 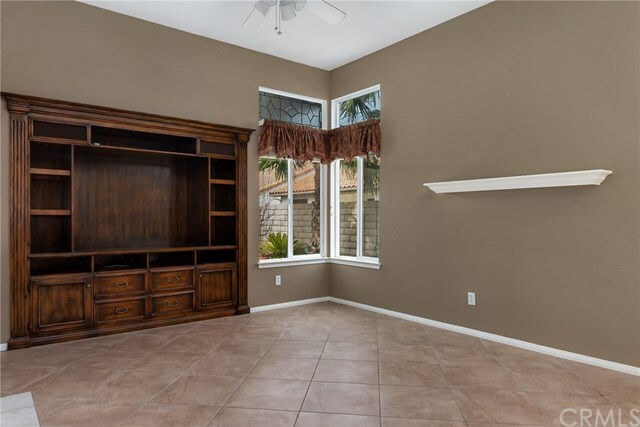 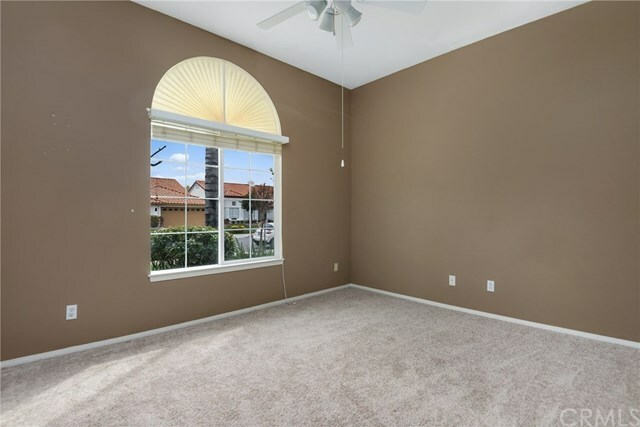 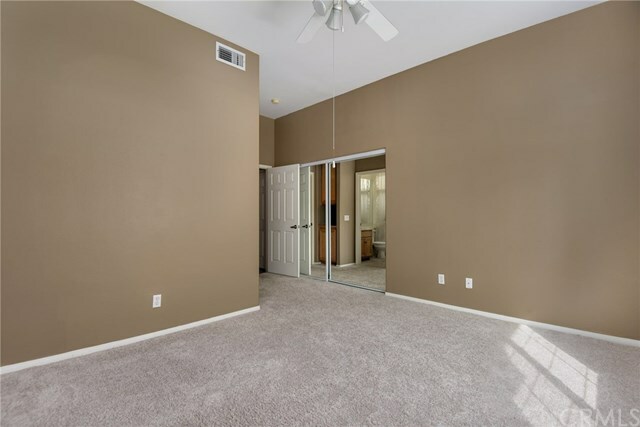 In pristine condition, this home boasts two master bedrooms and a spacious open floor plan making it easy to entertain and enjoy comfort living. 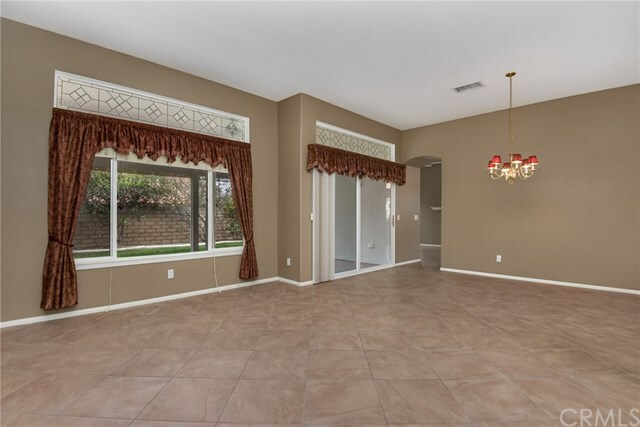 First impression as you enter are the high ceilings, wide wall arch cut-outs, and updated large tile flooring laid in a diamond pattern. 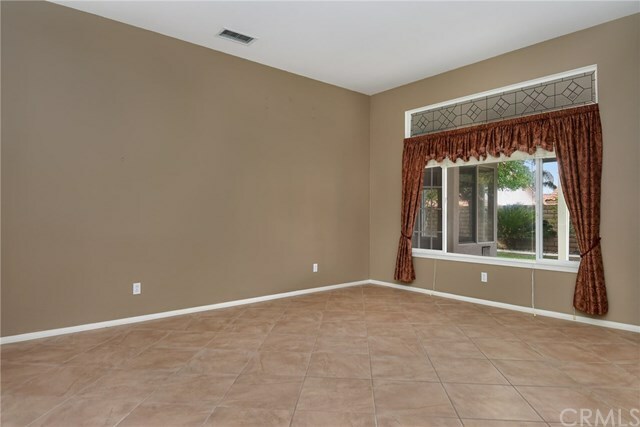 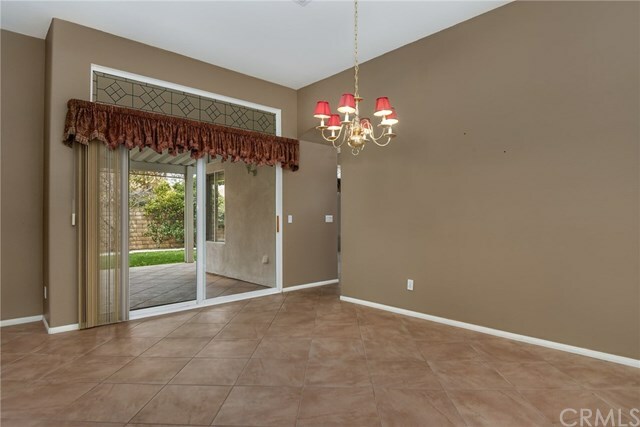 The generous size living-dining area is light and airy and features a large sliding glass door leading to the walkout patio. 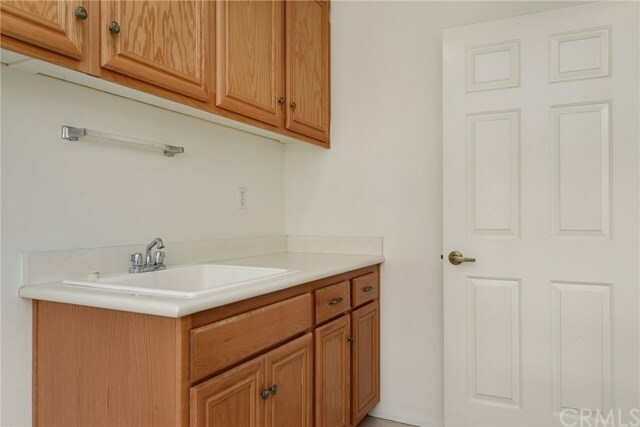 Functional kitchen offers tons of natural light, plenty of cabinet storage area, lots of surface counter space, and is equipped with updated recessed lighting and brand new appliances (oven, dishwasher, and microwave). 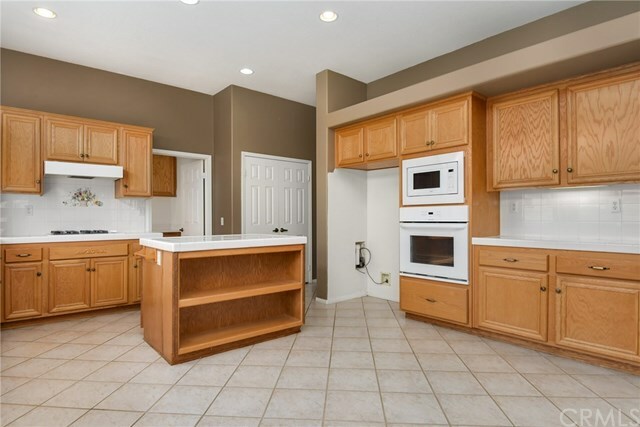 Kitchen is open to the giant Great room which has a fireplace and built-in entertainment center. 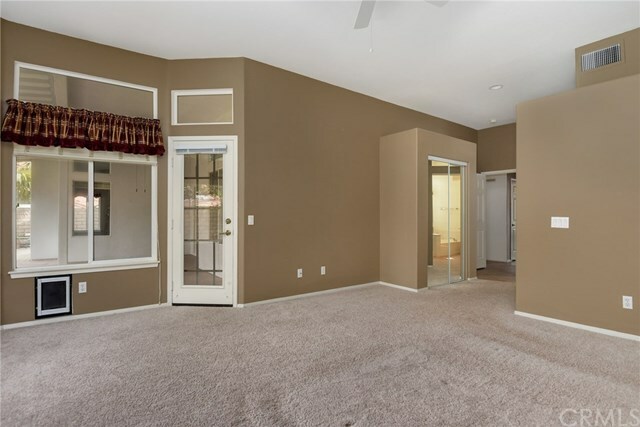 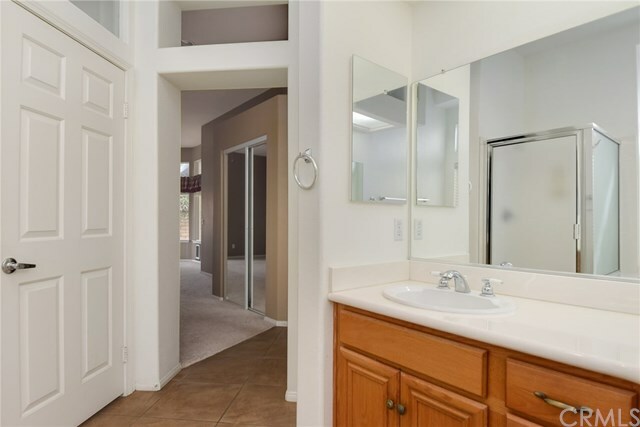 Primary master suite features dual closets with mirrored doors, a bright and sunny retreat area with bay windows and patio door. 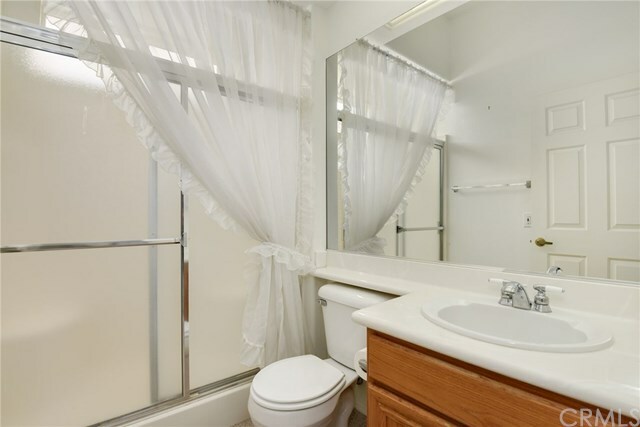 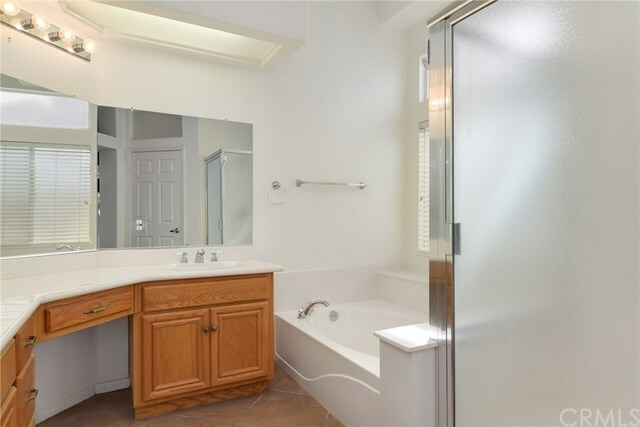 Double vanities including a make-up vanity section, separate walk-in shower, and oval bathtub in the master bath. 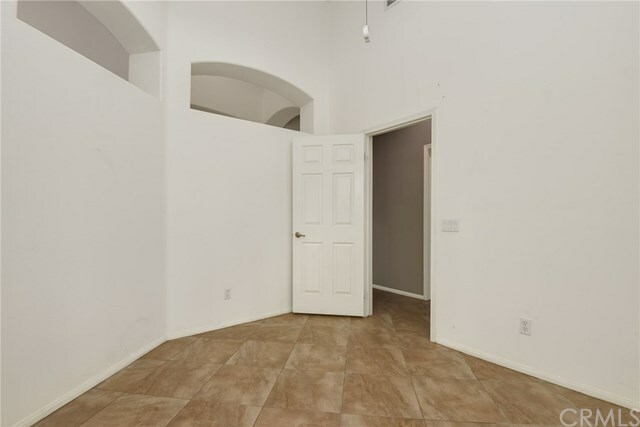 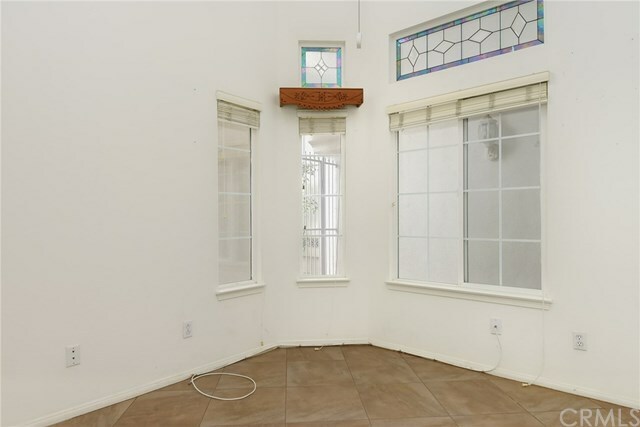 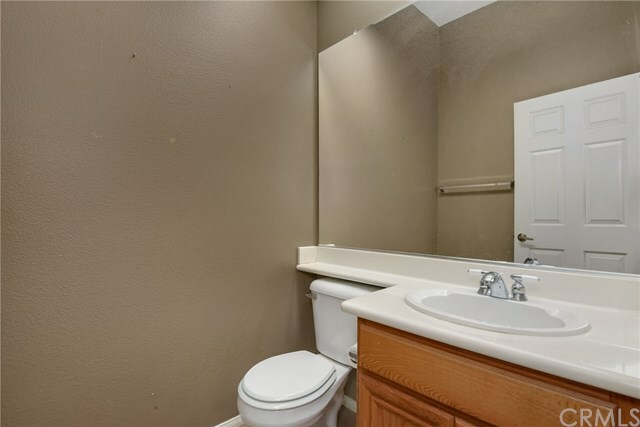 Home also features a sizable office to the right of the main entrance with an adjacent powder room. 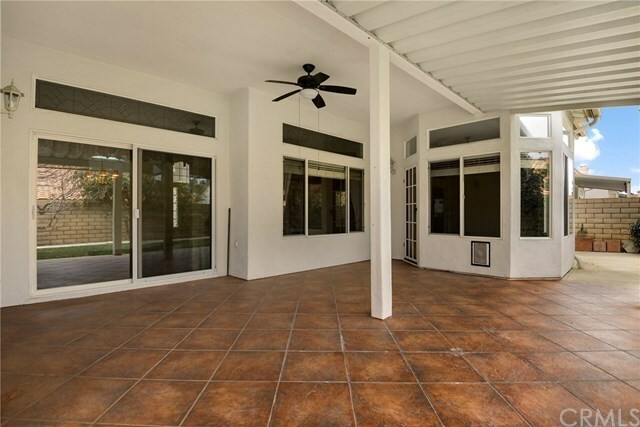 Creating a livable outdoor space is the patio, complete with ceiling fan, ceramic tile flooring, and an extended Alumawood patio cover. 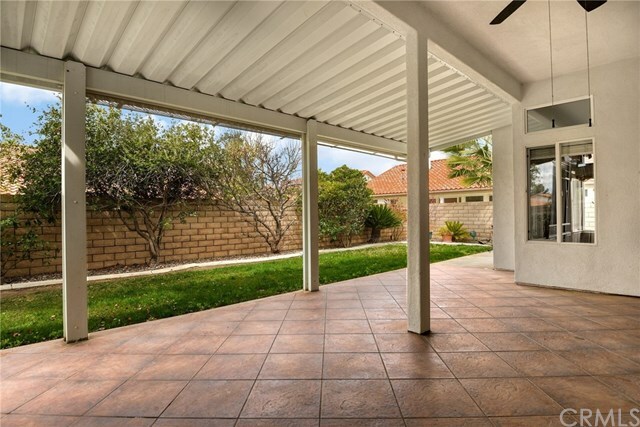 Lovely and private, this backyard has professional low-maintenance landscaping and slump block wall fencing on all sides.